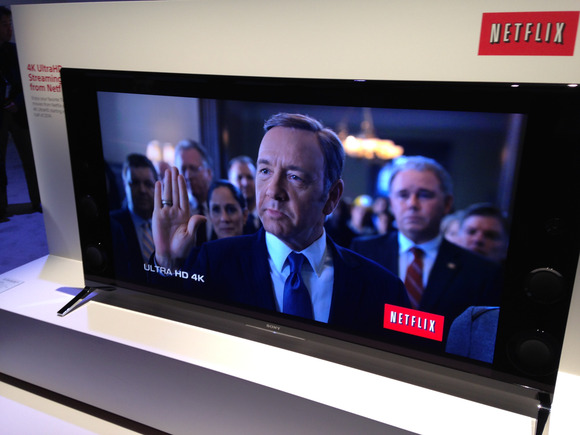 Hollywood’s aggressive attempts to down 4K video may be extremely short-lived. Hollywood has been quite aggressive in trying to protect 4K video from piracy, but now it appears those efforts are faltering. Over the last few days, a wave of 4K video torrents have appeared online, evidently ripped from Netflix and Amazon Prime, TorrentFreak reports. Those leaks include new original series such as Jessica Jones, and their file sizes are significantly larger than a typical 1080p video, in some cases topping 10GB per episode. The new torrents aren’t the first example of leaked 4K content from major streaming services, but things had been pretty quiet since August, when a single 4K episode of Breaking Bad appeared online. TorrentFreak notes that something has changed in the past few days, with many more releases suddenly popping up. Still, there’s no indication of how the leakers may have cracked the tough copy protection in Amazon’s and Netflix’s streams. Both services make use of HDCP 2.2, a new protocol that locks down video as it’s transmitted over HDMI, DVI, DisplayPort, or USB, preventing unauthorized duplication. Windows 10 PCs enable strict DRM at the hardware level. Studios have also started imprinting watermarks on 4K video, allowing them to trace leaks back to the source. TorrentFreak speculates that new 4K set-top boxes from Amazon and Roku may have provided some sort of opening, but it’s impossible to say for sure without more details. Why this matters: If the copy protection on Amazon and Netflix streams is indeed broken, it would be an embarrassing development for Hollywood, which has taken extreme steps to lock down their content. The introduction of HDCP 2.2 has rendered some early 4K TVs incompatible with streaming services, and even PCs don’t support 4K streams despite being technically capable. Unless the leaks stop, this could shape up into another case of DRM harming legitimate users more than unscrupulous pirates.